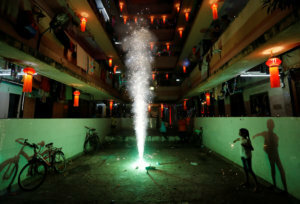 NEW DELHI – The Supreme Court on Tuesday allowed the use of “green” firecrackers for Diwali next month to try to curb pollution, but it was unclear how the rules will be enforced or whether there was such a thing as an environmentally safe firework. The court banned the sale of firecrackers outright during the Hindu festival of lights last year but revellers bought them from neighbouring states and air pollution in New Delhi hit 18 times the healthy limit. Each year, smoke from firecrackers covers Delhi and its satellite cities in a haze that can linger for days as wind speeds drop in the cooler weather, adding to pollution caused by the burning of crop residue, vehicle exhausts and industrial gases. Activists in India, home to the world’s 14 most polluted cities, had petitioned the court for another ban on fireworks ahead of Diwali, when millions of firecrackers are lit. Environmentalist Vimlendu Jha said there was no such thing as an environmentally safe firework and blasted the court decision as others raised concerns about how the order can be enforced. “Your one decision to allow sale and use of firecrackers in current times, while half of our country turns into a gas chamber, will kill toddlers, children and elderly,” Jha said in a tweet. 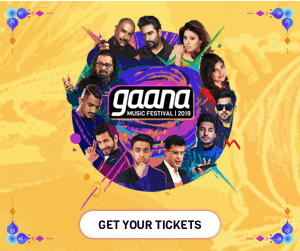 But authorities have been reluctant to enforce an outright ban to avoid offending millions of Hindus across the country, for whom Diwali is one of the biggest festivals. A two-judge bench said firecrackers would be permitted during Diwali, Christmas and New Year, with conditions. Only “safe and green firecrackers” would be allowed, for a maximum two hours on Diwali, and only in designated areas such as parks. Online sales were banned. “This decision should have come earlier because manufacturers are ready with all kinds of firecrackers and it will be very hard to stop them,” said Greenpeace campaigner Sunil Dahiya. New Delhi accounts for nearly half of India’s demand for firecrackers although Diwali is celebrated across the country. “These celebrations should not be spoiled. Such petitions for a ban are deliberately targeted against Hindu festivals,” said Tajinder Pal Singh Bagga, a spokesman for the Delhi unit of ruling Bharatiya Janata Party. But Judge Arjan Kumar Sikri said a balance had to be drawn between religious practices and safeguarding public health. “If a particular religious practice is threatening the health and lives of people, such practice is not entitled to protection,” Sikri said. Last week, hundreds of protesters from conservative Hindu groups defied a Supreme Court decision allowing women of menstrual age to enter a Hindu temple in southern state of Kerala, saying it would hurt a centuries-old tradition.